Now in its third-final race of the year, Ferrari went into the Mexican Grand Prix on October 29 with high hopes after a successful race last week. After both Ferrari drivers made it to the podium at the North American Grand Prix, success was also found in Mexico City. Ferrari drivers Kimi Raikkonen and Sebastian Vettel held strong, finishing in third and fourth place respectively. Held at the Autódromo Hermanos Rodríguez in Mexico City, the Mexican Grand Prix is known to deliver on excitement thanks to its long straights, complicated turns, and exciting atmosphere thanks to Mexico City’s enthusiastic fan base. The October 29th race featured plenty of excitement from the start, which pitted Vettel against Mercedes driver Lewis Hamilton early on. The two had a minor collision, which resulted in Vettel pitting for a new front wing as well as changing tires. Hamilton was also forced to pit during the race due to a flat tire, costing him much time. From there, it was a game of catch-up. Vettel ran with Soft and Ultrasoft tires, as did Raikkonen. In the end, Raikkonen held on to third place, finishing 54.007 seconds behind first-place finisher Max Verstappen of Red Bull Racing Tag Heuer, who had a time of 1:36:26.552. Vettel was absent from the podium for this race, finishing 70.078 seconds behind Verstappen. After a hard-fought race in Mexico, the Formula One Championship moves on to its penultimate race for 2017, hosted in Brazil. The Brazilian Grand Prix will be held at the Autodromo Jose Carlos Pace in São Paulo on November 12. 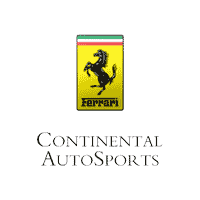 To learn more about how Ferrari fares in this race, be sure to check back later with our blog here at Continental Ferrari. You can also use our blog to look back on past performances by Ferrari drivers in this year’s Formula One Championship. And if you’re interested in getting behind the wheel of a Ferrari vehicle of your own, take a look at our inventory and contact us today!